Be you part-time ninja or full-time surfer, a riding hood from US Outdoor relegates excuses about the weather to a new realm of lame. Engineered by experienced surfers, these insulated hoods will usher you through both frigid and tropical water. 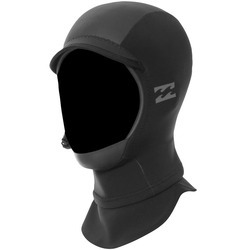 Detachable and in some cases fitted to your neck and torso, these hoods repel water without the waterlogged drag of inferior fabric. Available from brands like Xcel and O’Neil, you can’t go wrong with these reliable and durable hoods. Don’t sit there shivering just to look cool; throw on a hood and surf to your heart’s delight.